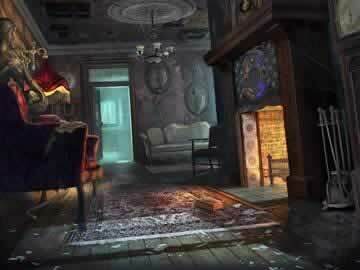 Mystery Case Files: Return to Ravenhearst Game Review - Download and Play Free Version! Truly phenomenal graphics with impeccably detailed locations. Over 150 locations to search for hidden objects. Snide comments for improperly guessing where an item might belong. Some items disproportionately small and hard to see. Items remain in the original locations which significantly detracts from replay value. A Murderous Spirit Seeks Revenge! You may have freed Emma's soul from Ravenhearst Manor but your ghost-filled adventure isn't over yet! You also freed Emma's murderer's soul from the manor and now Charles is mercilessly seeking revenge! However, what you find at Ravenhearst Manor this time won't be quite what you expected. Can you face the eerie rooms of Ravenhearst Manor again and free all the spirits? 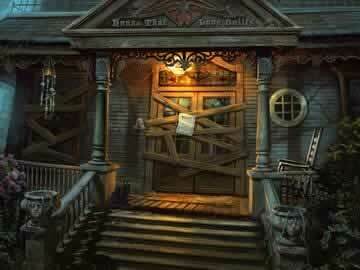 Explore more than 150 detailed scenes and solve many clever puzzles in the sequel to Mystery Case Files: Ravenhearst. Fiendish Puzzles and Eerie Hidden Object Searches Abound! Wander the eerie premises of Ravenhearst Manor and solve puzzles in this fun blend of point-and-click adventure gameplay and hidden object tasks. Click on sparkling items to open mind-bending logic puzzles like wiring a box correctly to retrieve its treasure given number clues. These puzzles might require objects and clues from other scenes to be solved. Some scenes will ask you to find hidden objects, some of which will be added to your inventory for use in puzzles. Learn more dark secrets about the manor and meet ghosts of all types, but watch out for Charles or you may become one of the ghosts yourself! This game is even better than the original Mystery Case Files: Ravenhearst because you can move between realistic scenes and enjoy a wider variety of things to do while this game still retains the excitement of hidden object searches and brain-bending puzzles of the first game. The cryptic puzzles will keep you busy for hours as the interesting story, mysterious music and creepy atmosphere draw you in. The thrills and chills will feel all too real and leave you wondering if this is really just a game! Do you have the courage and wits to solve the mysteries and discover the secrets of Ravenhearst Manor? 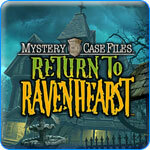 Challenge yourself now with Mystery Case Files: Return to Ravenhearst! With its colorful interactive graphics, lively plot line and impressive game length, Return to Ravenhearst is one of the best hidden objects/adventure combinations to date. Wander about the manor grounds, searching the haunted mansion and nearby areas to uncover the ghostly secret of Ravenhearst. Expect beautifully constructed scenes with intricate detail and unique objects to find such as DNA! The graphics themselves are a sight to behold, offering vivid colors and animated backgrounds in which streams flow, animals move and the weather shifts at will. Ghosts roaming the manor are live action actors edited to appear eerily transparent which blends perfectly into the scenery. Mini-puzzles are adequately challenging and must be completed to unlock a new area or object. Some items are out of proportion and are difficult to spot, and all items always remain in the same location which reduces the re-playability of the game. However, the game itself is very long, with over 150 locations to search and countless puzzles and challenges to complete, so you needn't fret over these small detractors. The creativity of Mystery Case Files – Return to Ravenhearst is truly astounding and the challenges it presents through object hunting, puzzle completion and game navigation make it a worthwhile adventure to all audiences. Watch some of the spooky but captivating gameplay in Mystery Case Files: Return to Ravenhearst.